Erik Bosgraaf is generally considered to be one of the world’s most virtuosic recorder players. He is certainly the most adventurous. To Erik, the recorder is an inexhaustible source of inspiration and possibilities. He improvises, plays jazz, utilizes electronics and likes working with people in other areas of artistic endeavour, cinematographers, for example. His repertoire extends from Medieval music to Vivaldi’s Four Seasons to tomorrow’s music. For Erik there is no fundamental difference between early and contemporary music. He is of the opinion that ‘early music is always new’. Around a hundred pieces have been composed for Erik Bosgraaf, among which are twelve concertos. Dutch composer Willem Jeths wrote a ‘Mahlerian’ recorder concerto that was premiered in the main auditorium of the Amsterdam Concertgebouw with the Dutch Radio Philharmonic Orchestra conducted by Markus Stenz; the live recording was released on CD by Challenge Classics. Scottish composer Anna Meredith wrote her Origami Songs for recorder and chamber orchestra on commission. In 2011 Pierre Boulez, impressed by Erik’s artistry, gave him personal permission to arrange the clarinet composition Dialogue de l’ombre double for recorder. Also the world premiere of this new version took place in the main auditorium of the Amsterdam Concertgebouw; the CD was recorded in 2015. Erik Bosgraaf’s 2006 recording (3 CD’s) of Der Fluyten Lust-hof by Jacob van Eyck set a new standard and led to his international breakthrough. Since then, he has recorded other bestsellers, mainly for the Brilliant Classics label: the complete sonatas of Handel and Telemann (with Francesco Corti, harpsichord), concertos by Telemann and Vivaldi, his own arrangements of Bach concertos, and several more (see the discography). With laptop artist Jorrit Tamminga he recorded ‘comprovisations’, released in combination with Boulez. His version of Vivaldi’s Four Seasons also appeared on vinyl. Erik has made most of his concerto recordings with his Ensemble Cordevento, which also accompanies him on stage. The groups appears in various guises, depending on the repertoire. ‘Corde e Vento’ is Italian and means ‘strings and winds’. The ensemble originated as a trio, still existing, with Izhar Elias (guitar) and Alessandro Pianu (harpsichord and organ). As a trio, Cordevento focuses on music from around 1700 and earlier. In 2012 they recorded the successful CD La Monarcha, with music of the Spanish territories (Brilliant Classics). Both as a trio and as a full baroque band, Cordevento plays on copies of historical instruments. The ensemble has performed in Berlin, Utrecht, Barcelona, Modena, Moscow, Madrid, Saint Petersburg, Sofia, Hong Kong and Seoul. 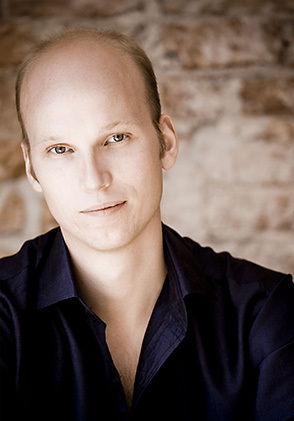 As a soloist, Erik has worked with the Dallas Symphony Orchestra under Jaap van Zweden, the Residentie Orchestra The Hague, the Dutch Radio Philharmonic and Chamber Philharmony, the Netherlands Chamber Orchestra and the Helsinki Baroque Orchestra, among others. In February 2017 he will appear with the Hong Kong Philharmonic, as a soloist and leader. Erik has also performed with leading jazz musicians including cellist Ernst Reijseger, and saxophone player Yuri Honing, with whom he made the pioneering CD Hotel Terminus. First fruits of Erik’s extensive collaboration with Dutch film makers Paul and Menno de Nooijer were to be seen on the DVD Big Eye. Their latest production is a breathtaking multimedia version of The Four Seasons by Vivaldi. He made the soundtrack for the movie Salt and Fire, directed by Werner Herzog, with cellist and composer Ernest Reijsiger. Erik teaches the famous recorder class of the Conservatorium van Amsterdam, where he studied himself. He is also a visiting professor at the Cracow Music Academy, Poland, and teaches masterclasses around the world. In 2011 Erik Bosgraaf received the Nederlandse Muziekprijs, the most important classical music prize in The Netherlands. It is awarded by the Dutch State, on average less than once a year, Erik being the first and only recorder player to receive it since the prize was introduced in 1981. Furthermore, he has received the Borletti-Buitoni Trust Award (2009) and the Northern Dutch music prize Het Gouden Viooltje (2012). In the 2011/12 season he was invited by the European Concert Hall Organisation (ECHO) to make an international tour as part of the Rising Stars programme, having been nominated by the Amsterdam Concertgebouw and BOZAR in Brussels.